Origin / foundation stories are so important to an organisation’s identity. The foundation story should always address the questions – Why do we exist? Why do we do what we do? This theory has been well-used in marketing and branding, from products such as drinks and shoes, to film and literary franchises. We’re lucky at the College to have a very clear link from our foundations in 1599 to our current aims – to set the highest possible standards of healthcare. Yet, there are challenges in how we communicate this. How do you engage audiences with the origins of a 16th century medical and surgical college? 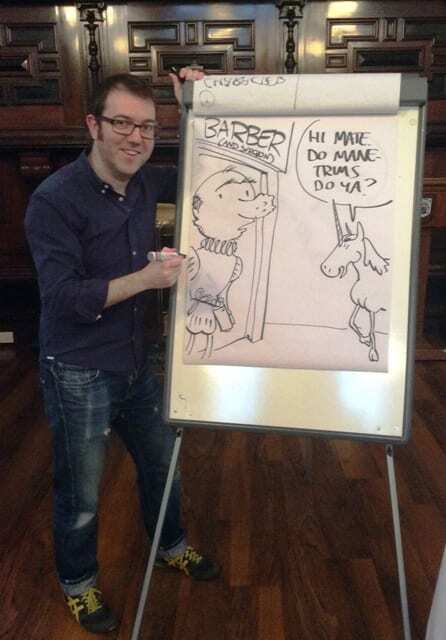 In November we worked with leading comic book artist and writer Adam Murphy for a creative workshop with families. Inspired by the 16th century foundations of the College and its enigmatic founder Maister Peter Lowe, Adam led us on a journey of comic creation. Under the gaze of the Maister himself in our College Hall, Adam used Lowe’s 1597 book The Whole Course of Chirurgerie and our 1599 Royal Charter to create graphic stories of surgical and medical improvement. We invited families along and the event sold out very quickly, mainly through social media promotion and Glasgow event listings. It was important for us to hold the event in our main historical space, College Hall, where portraits of our 16th century founders are on display. 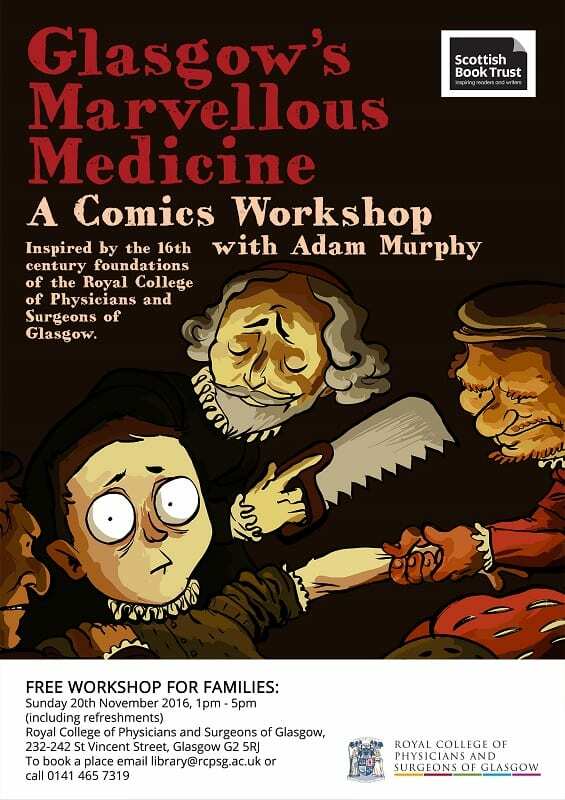 Adam kicked things off by setting the scene of a character seeking medical care in the 16th century, and the various options available: the heavy-handed barber-surgeon, the expensive physician, or the unpredictable remedies of folk medicine. Then, via our 1599 Charter, he introduced the idea of surgical training and licencing of practitioners. Never before have the words “Out of the way, losers!” been attributed to the College founder! 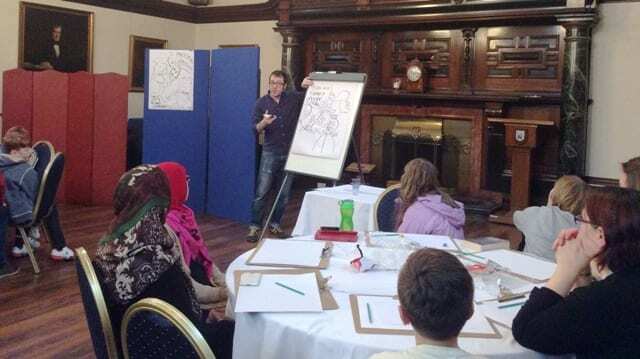 The young people and adults taking part got hands-on instruction on the basics of comic creation, how to build characters, sequence stories, and most importantly, to take risks and make mistakes. Participants spent some time viewing a pop-up display of our surgical instruments and old medicine cabinets, sketching these and incorporating them into their own stories. The audience chose a large amputation saw as the item for Adam to demonstrate some drawing tips (capturing the impact of the saw’s teeth, for example!). 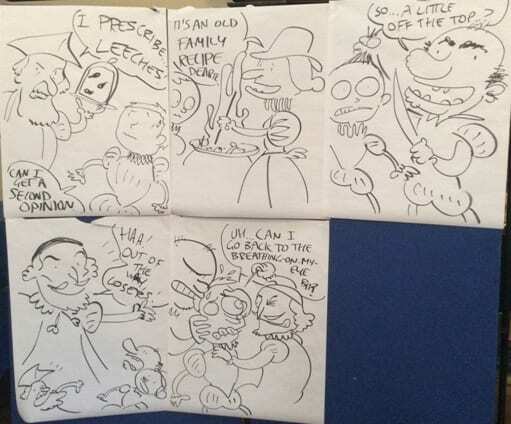 Wild ideas and the creative imagination took over, and participants let loose with a whole range of comic strip stories, all of which retained a link to the medical and surgical foundations of the workshop. Adam captured some of these ideas – particularly the introduction of a unicorn character which gets its horn cut off by a careless barber-surgeon. The event was a great way to engage a completely new audience with our early history. 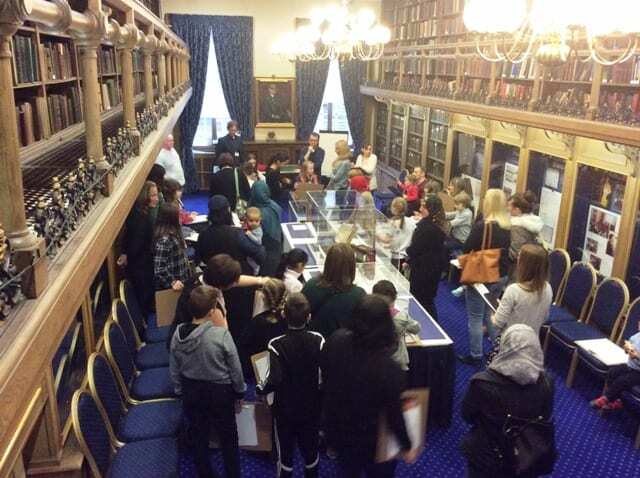 Participants left knowing much more about the College’s place in Glasgow’s history and in Scotland’s medical history. And our feedback shows that many went home to draw more comics! We look forward to developing further creative events to open up our heritage and collections to a wider audience. Find out more about Adam’s work at www.adammurphy.com. 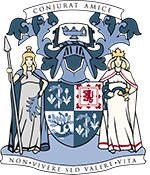 The event was kindly supported by Scottish Book Trust’s Live Literature Scotland scheme.